Some people experience allergies during certain times of the year, while others react when exposed to specific allergens such as foods and insect bites. The one thing all allergens have in common is how the immune system is reacting to a substance that many other people may find harmless. An allergic reaction is a distinctive biological process. The white blood cells in a person's system will experience excessive activation in response to an allergen. This will cause him or her to have a response that can cause them discomfort and in some cases be dangerous. As the white blood cells eliminate the allergens, a chemical known as histamine is released into a person's bloodstream. When a large amount of histamine exists in an individual's system, the body's tissue will swell. This may cause enlargement of blood vessels, itching, a higher level of secretions, and a tightening of muscles around the airways. When a person believes he or she is suffering from an allergy, it is important to undergo allergy testing. When allergic symptoms last longer than 14 days, an immunologist or allergy professional will be able to determine the cause of the allergic reaction. Skin testing will be able to identify certain allergens. During this test, a person's skin is pricked with an allergen. The skin's reaction will help determine if the person has an allergy. There is also a radioallergosorbent blood test (RAST). This will measure the amount of antibodies created by a person's immune system. Increased levels of specific antibodies can indicate sensitivity to certain allergens. At this point in time, science has not identified a cure for allergies. Allergy symptoms can, however, be managed and controlled. A combination of avoiding allergens and properly using allergy-relieving medications is the best alternative to a cure. Avoiding the allergens that cause reactions is one of the best solutions for allergies. Treatments are available if avoidance is impossible. There are decongestants, antihistamines, and over-the-counter medications that may be recommended. Physicians are also able to prescribe medications that are effective. There are nasal steroids and cromolyn sodium that may come in the form of a nasal spray. There are also a number of injectable medications to help with serious reactions that are dangerous. Having an allergic reaction may cause a person a number of medical issues. It's possible for a person to have a very serious reaction to an allergen and experience anaphylaxis, a rapid allergic response that has caused people to experience serious medical problems and even death. Some people have an immune system reaction that causes them to experience difficulty breathing, which is a form of asthma. It's also possible to have infections in ears or the lungs. This is often referred to as atopic dermatitis. 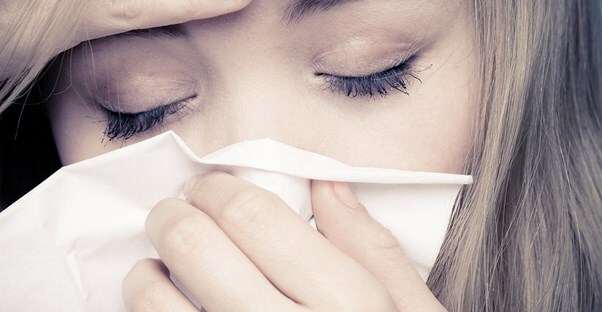 People can have allergic fungal sinusitis, which is caused by an allergic reaction to mold. The latter can cause serious health risks to a person's lungs and sinuses.